We want every patient to smile with confidence. That’s why we provide exceptional cosmetic dental services in Huntersville, NC, tailored to each patient’s unique needs. How Could Cosmetic Dentistry Change Your Life? It's never too late to make a drastic change to your smile. Tired of hiding your teeth in photos? Embarrassed about your crowded or gapped smile? 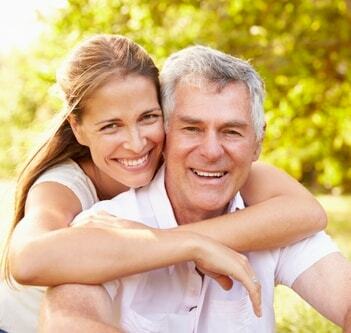 Choosing to enhance your smile during your adult life is a decision you’ll never regret. Feel confident, look younger, and be healthier with a smile you can be proud to show off. Dr. Merrill invests his years of experience and countless hours of education in making every smile perfect. You can entrust your cosmetic dentistry treatments to Dr. Merrill’s artistic eye and know your new smile will be natural looking and spectacular. Find out how Dr. Merrill can enhance your smile in as little as one visit. Need to fix some smile imperfections but aren’t ready for drastic cosmetic procedures? Composite bonding involves adding tooth-colored resin material to repair chips, cracks, or worn teeth. Your restoration is durable, affordable, and painless. Patients find outstanding results with professional teeth whitening as opposed to store-bought treatments. Our professional whitening kits are customized just for you based on your individual smile goals. Learn about your options below! Would you like a straighter smile, but do not want to go through the hassle and embarrassment of metal braces? At NorthStar Dentistry for Adults, we offer discreet Invisalign® clear aligners for our adult patients. Earn the smile of your dreams without the inconvenience of traditional metal braces. 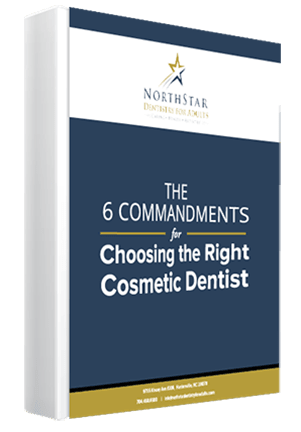 Follow this guide for choosing the right cosmetic dentist to avoid heartbreak, short-lived restorations, expensive recovery, and an embarrassing smile. Download your free copy of Dr. Merrill’s new eBook! Dr. Merrill produces life-changing results! I could not imagine a better outcome to my dental case or a better experience throughout. Dr. Merrill is an extraordinary dentist and a great human being, and I can recommend his services without reservation. I am a dentist and I chose Dr. Merrill as my dentist because I know he has exceptional skill and judgment. Dentists (like me) are not easy patients to treat – we tend to be too fussy. With Dr. Merrill, I know my dental work will be better than if I did it myself! I want to thank Dr. Merrill and his lovely wife Natalie for giving me a younger appearance. I saw him for a complete reconstruction of all my teeth. Dr. Merrill explained how he could change the appearance of my teeth and my smile! I didn’t realize that a nice smile could melt years off my face. Thank you for making it painless and convenient. Or still have questions about our cosmetic dental services? Our friendly staff can’t wait to help you!